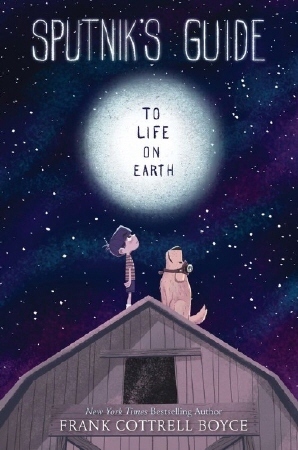 Award-winning author Frank Cottrell Boyce returns with another one-of-a-kind story of heart, humor, and finding one’s place in the universe. Prez knows that the best way to keep track of things is to make a list. That's important when you have a grandfather who is constantly forgetting. And it's even more important when your grandfather can't care for you anymore and you have to go live with a foster family out in the country. Prez is still learning to fit in at his new home when he answers the door to meet Sputnik—a kid who is more than a little strange. First, he can hear what Prez is thinking. Second, he looks like a dog to everyone except Prez. Third, he can manipulate the laws of space and time. Sputnik, it turns out is an alien, and he's got a mission that requires Prez's help: the Earth has been marked for destruction, and the only way they can stop it is to come up with ten reasons why the planet should be saved. Thus begins one of the most fun and eventful summers of Prez's life, as he and Sputnik set out on a journey to compile the most important list Prez has ever made—and discover just what makes our world so remarkable. Most of us are fortunate enough to have a home, a family, which we can rely upon. But what if you don't? What if a traditional home, a traditional family, is something you don't have? And you have to figure out what is right for you? What can you piece together to make fit? Where is home? Who are the people in your home? Prez does not have a traditional home. Raised by his grandfather until close to the start of the book when he is taken away and Prez goes to live in the Temporary (orphanage of some sort) and is placed with a foster family for the summer. While the foster family does become close and slowly forms a meaningful family for Prez, he does not give up hope of being reunited with Granddad. But it's through Sputnik's crazy ideas and schemes that helps Prez see what the idea of home is for him. Further explored in this theme is living with a family member who has Alzheimer's/dementia. This can be very confusing for a young child and Boyce lays it out in a non-threatening way with Sputnik and his schemes. Wondering how you fit in - with the people around you, with family, at school or a place where you are a lot - can be hard to figure out. Who you are and who you want to be is something we reckon with for a long time as we mature and come into our own person. It's not something that is figured out in a day, and as a middle grader, it's confusing and patience is not something that is usually figured out by then. We see this within Prez as he grapples with figuring out where he fits in. Who is family is. Where is family is. How does he fit in with the people around him, within his town, within this universe. The character of Sputnik is there to perhaps help him figure this out, but instead of telling him, he creates situations that makes Prez a bit more aware. This book definitely had a Roald Dahl/British feel to it. Reality is suspended and the belief in the unbelievable is needed to fully immerse yourself into this book. I like that science is infused throughout the story lines and quick explanations of physics and the universe occur naturally throughout the book. I would put this in the hands of readers who enjoy the Roald Dahl books, readers who enjoy science fiction or fantasy and readers who enjoy a quirky sense of humor. Thank you to Walden Pond Press for the review copy. 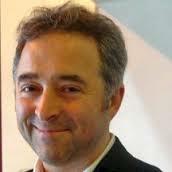 Frank Cottrell Boyce is the author of Sputnik's Guide to Life on Earth, The Astounding Broccoli Boy, Cosmic, Framed, andMillions, the last of which was a New York Times bestseller and was made into a movie by Oscar-winning director Danny Boyle. His books have won or been nominated for numerous awards, including the Carnegie Medal, the Guardian Children's Fiction Prize, and the Whitbread Children's Book Award. Frank is also a screenwriter, having penned the scripts for a number of feature films as well as the opening ceremony of the 2012 London Olympics. He lives in Liverpool with his family. Find a copy of Sputnik's Guide to Life on Earth on June 20th!